Aug - 09 | Posted by: videos | no comments. President Barack Obama is probably the most popular politician in America right now. I don’t even think the residual love for Bill Clinton comes close. Obama’s last year in office has been bittersweet, of course, and we would be in such a different place if only Obama was running for a third term. That’s what I was thinking about last night… I wish this race was Obama vs. Trump. Because Obama would slay. On Day 3 of the DNC, the party brought out their heavy-hitters. It was a really great three-hour block of television, actually. First Biden, then Bloomberg, then Tim Kaine, then Obama. I’m not going to say that Obama gave his best speech ever, but this speech was easily in the Top Five. It was partly a farewell speech (SOB), partly a full-throated endorsement of Hillary Clinton and partly a takedown of Donald Trump. Obama balanced those three subjects brilliantly and, again, kudos to the speechwriters last night. I was genuinely surprised when Hillary Clinton came out at the end too. 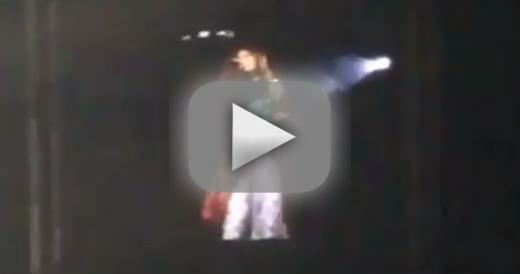 Selena Gomez Breaks Down in Concert, on Instagram: I Need to Rethink My Life! Jul - 26 | Posted by: celebrityabout | no comments. Selena Gomez was on the verge of tears in concert, then broke down on Instagram this weekend, leaving fans worried for the singer. Labeling herself as inauthentic and disconnected (she said “unauthentic” and “unconnected,” but same thing), she’s clearly a hard time. That much is obvious … what we don’t know is what prompted it. The star kicked off the international part of her Revival world tour Saturday night in Jakarta, Indonesia, just one day after turning 24. She appeared to be having a blast with her friends as they all arrived in the country, looking giggly and excited to see everyone on Snapchat. “I’m very, very happy and excited,” she said in one video. Something beneath the facade is amiss though. Was this an allusion to how so many people online slammed Gomez for defending Taylor Swift in her ongoing beef with Kimye? “I do know that deep down in my heart, that I have to believe that we can love each other and always be kind, no matter what it takes. 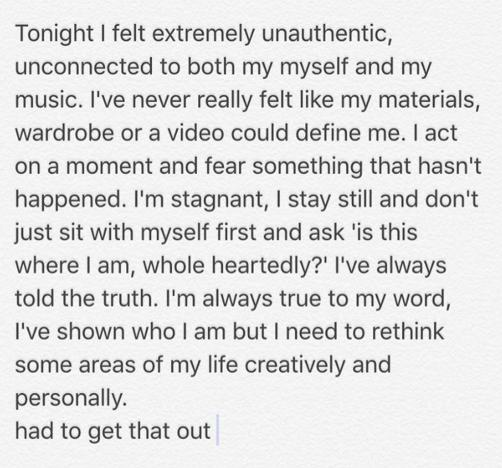 “Tonight I felt extremely unauthentic, unconnected to both myself and my music,” she posted, as you can see from the screen shot above. Again, we don’t know what prompted any of these surprising revelations, but it’s undeniable that something got in her head. This would not be the first time Selena’s fragile mental state has been a cause for concern, but it’s worrisome nevertheless. Here’s hoping she finds whatever it is that she’s looking for. Caitlyn Jenner attended events adjacent to the Republican National Convention in Cleveland this week. She announced that she would be going to Cleveland ahead of time, almost as if she was hoping for a speaking slot at the RNC. Which isn’t going to happen on Mike Pence’s watch, you know. So Caitlyn just had to be RNC-adjacent at an American Unity Fund Q&A session, where she talked about her long-standing love of all things Republican, even though the GOP would much rather refer to her as Bruce and discriminate against every part of her life. Some assorted quotes from Cait’s Q&A session. I know Caitlyn is a Republican because of the way she talks about why she’s a Republican. It’s the same vague, illogical, superficial, uninformed way that many die-hard Trump voters talk about why they’re voting for Trump. Because “freedom” and “my dad was in the military” and “making America great” and “the Constitution or whatever” and “you know, like, freedom.” In what way was George W. Bush’s administration MORE of a “constitutional government” than Barack Obama’s administration? Do Republicans believe that no active-duty military personnel or veteran has voted Democrat, ever? Photos courtesy of Fame/Flynet, Twitter.